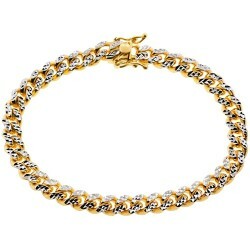 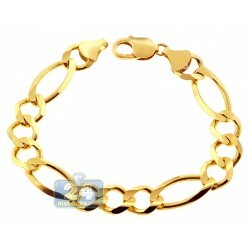 The distinctive design of this 10k two tone gold Figaro Bracelet is a sure way to impress! 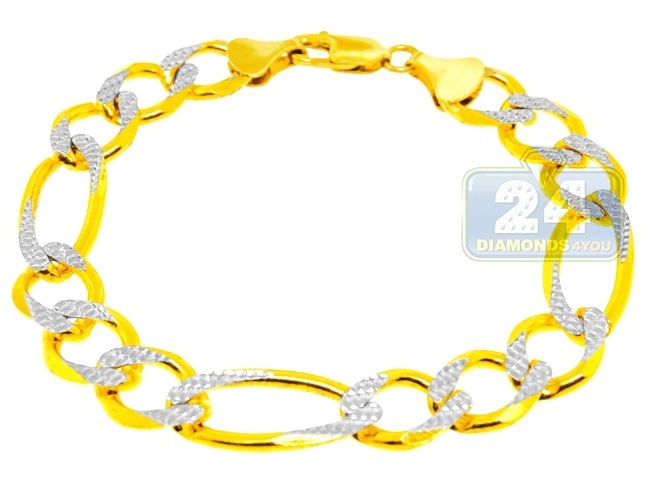 Gleaming white gold accents partially adorn each gorgeous yellow gold link in this 3+1 designed jewelry piece. 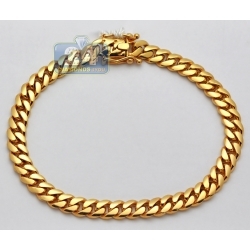 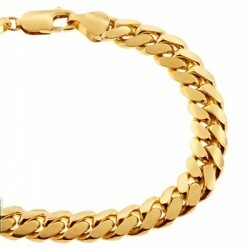 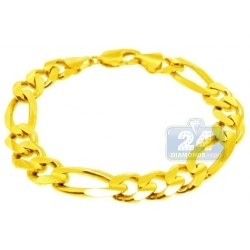 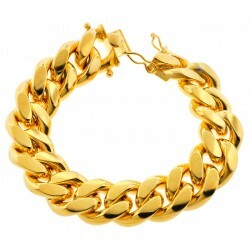 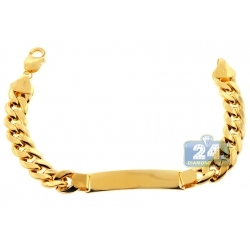 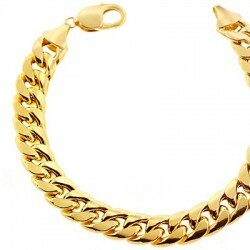 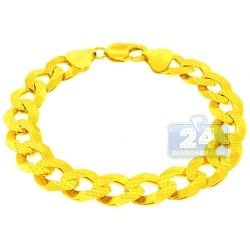 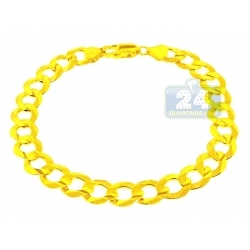 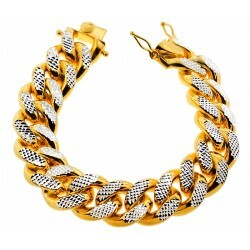 This men's gold bracelet measures 9 inches in length, 12 mm in width and about 26.9 grams in weight. 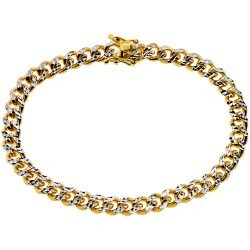 Every man appreciates the weight of this simple and at the same time very classic yellow gold bracelet around his wrist.